We are super excited to announce some really awesome new features that you can now use on the eClincher platform. This is a one of our long-awaited new features that everyone has been asking for. You can now create your own report with your own name, description, and drag and drop any combination of social media profiles in there. Not only that, but you can set your own custom timeframe for each segment of the report. You can now save hashtags the same way you use saved replies. What do you think about this new features? So, you just need to click on the “Saved Replies or Hashtags” and then create a new saved hashtag. You can put as many hashtags as you want. This is a super effective way to save all of your hashtags and post them with one click on Instagram, Facebook, or Twitter. This feature is available in the auto post and the new post. You can now easily view and manage your Twitter lists straight from eClincher with this new features. Simply create a new list feed and put in the owner of the list and the list slug and it will show up as one of your feeds. You can either monitor other people’s lists or your own. Zendesk is epic and we are so excited to offer you this integration — and new feature. For those of you that don’t know what Zendesk is, it’s a customer support system that allows you to create tickets and easily service every single person while managing a large team. Here is how you do it. Step 1 – Connect your Zendesk account in eClincher. Step 2 – Select a message from a customer that you would like to create into a ticket. Step 3 – Create a ticket and assign to a team member. Now you can create tickets within eClincher to easily communicate with your team and to handle all customer requests that you get straight from social media. Our Chrome extension got a huge facelift this month. We added a new feature that allows you to share any image straight onto your social media pages through the eClincher dashboard. Simply click on the “Share” icon that appears in the bottom right corner of the image and you will be directed to the eClincher dashboard to share it on your social media pages. The bulk upload feature that is part of our queues has become even better. You used to only be able to upload csv and excel files only, and then have to manually upload each corresponding image. Now, you can bulk upload images from either a folder or a URL. The process is super simple and with the Facebook carousel feature you can upload all the images from your favorite blog post and display all of them on your Facebook page. We have upgraded the Twitter reports in our Analytics with new features, to include the measure of the engagement that each post gets. When you create an analytics report of one or more of your Twitter profiles you will see a column for engagement that shows the total number of retweets, mentions, and likes for each post. You can now see all the people that mentioned you or your business on Facebook right from our Inbox feature. Click on Inbox and select “mentions” as a filter for any of your Facebook profiles (personal and company profiles). Now you don’t have to go looking for mentions, you can find them all right here in your eClincher Inbox. These new features are so great! Don’t you agree? One more to our list of new features! This is a great feature for agencies and businesses who manage clients. When you publish to a Facebook page from any third party tool, Facebook displays “published_by_the_third_party_tool_name” right next to the profile icon – only the page admins and managers will see it. All other public viewers will see “published by the_page_name”. Facebook purposely designed it so all admins and managers will know who published the post. For example: when you use eClincher, the page admins/managers will see “published by eClincher”, since we use the eClincher token. If you manage clients, or simply have other Facebook page admins that you would like them to see your own brand name when you publish, use Facebook Branded Pages feature. You can add your own token so your posts on Facebook will display: “Published by your_company_name”. This feature is available in the Add & Manage Accounts, for Premier, Agency and Enterprise accounts. You can now view and download past invoices. Open Account Settings to access invoices. 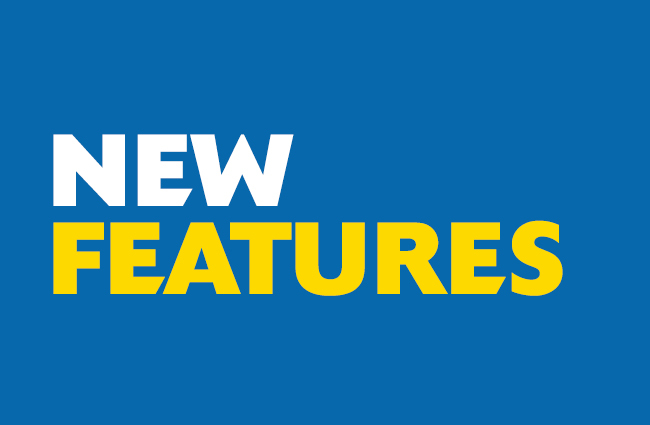 I hope you enjoy all the awesome new features, please let us know if you have any questions/comments/feature requests in the comments below.